A dog that is trained for tracking can serve a person in many ways. 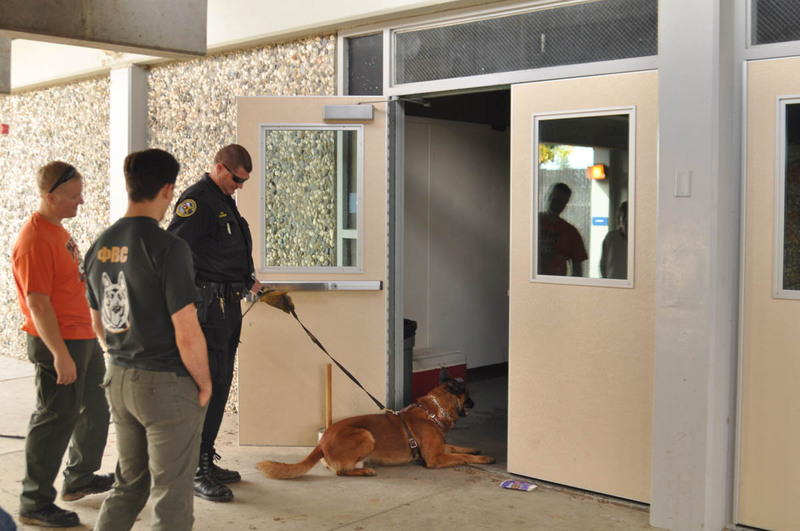 From finding a missing person by tracking his or her scent, to finding hidden items among other objects, a dog that undergoes tracking training has a wide range of abilities. 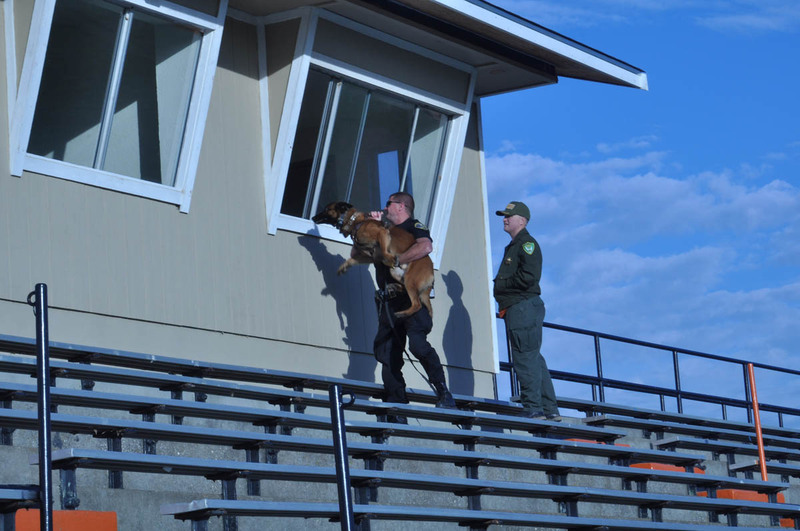 Training a tracking dog to find a person in a stadium. Tracking dog training is the right option for you if you want your dog to be able to differentiate between your objects and others. 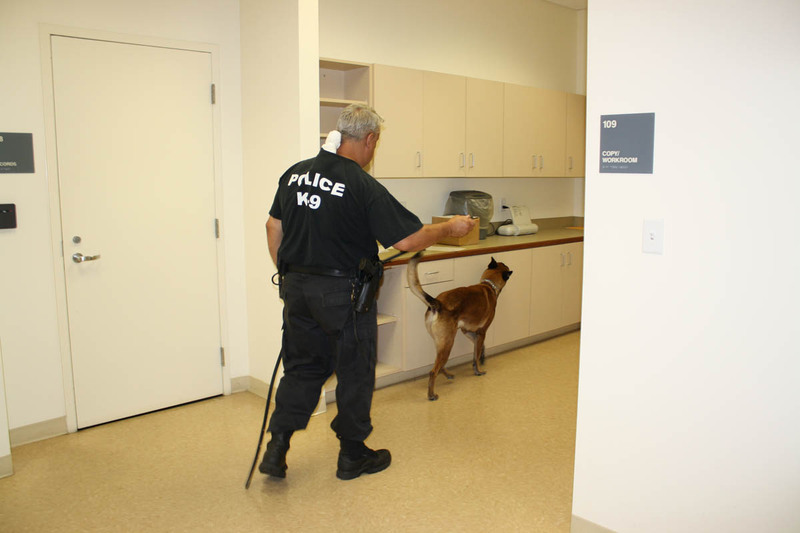 A dog that is properly trained for tracking can find objects in areas ranging from small rooms to large stadiums. Working with the North Port, Florida police department. We train tracking dogs for K9 police departments, military K9’s, and for owners wanting their dog to have tracking capabilities. All breeds, from German Shepherds, Malinois, Pitbulls, Labradors, Dobermans, Rottweilers, to Yorkshire Terriers, Chihuahua’s, and other dogs, are capable of tracking. Tracking dogs can serve many purposes professionally, as well as for families. There are even benefits for training a family dog for tracking. A family dog , after going through a tracking course, can help you find lost objects, or can locate lost family members. Tracking dogs can also help guide your family out of a forest if you get lost while hiking or camping, and can also instantly identify new and strange smells at home, helping you identify intruders. We offer obedience dog training and aggressive dog training for every breed of dog, from small breeds, such as Yorkshire and toy terriers, miniature Pinschers, and Chihuahuas, to breeds such as Labradors, German shepherds, Golden Retrievers, Pitbulls, and Malinois, as well as many other dogs.